Looking for a unique 70th Birthday Gift? 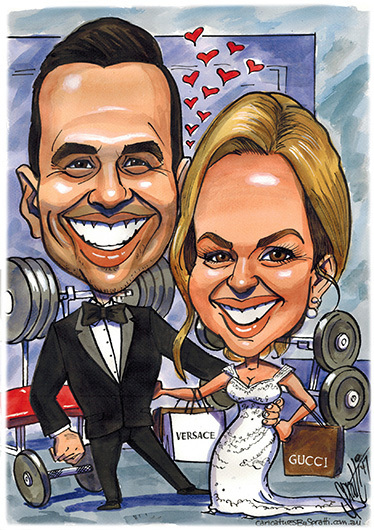 Check out the movie below for some of my 70th Birthday Caricatures examples. All the best – Spratt- Dec 2018. Not really sure but definitely believe they should! 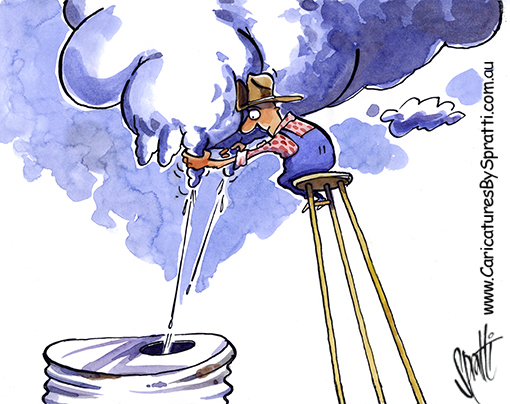 Had some great rain here over the past week, but still thinking about the struggling farmers out west. Feel free to send my cartoon to those who need a laugh. Spring is the time for Wedding Caricatures. Spring is just around the corner and that traditionally means Weddings. Here is one I did last week for a handsome couple. It was ordered by a friend as a lasting, fun memento of their special day. 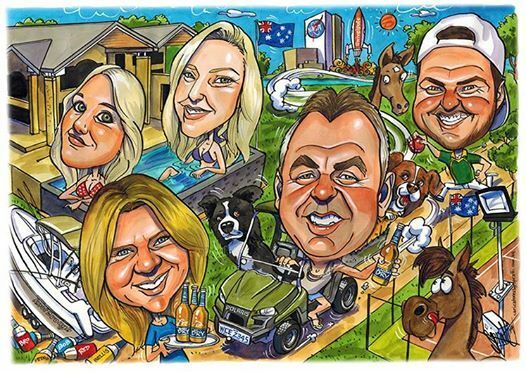 I did this large A2 size caricature recently for one of my Perth customers. It’s for his brother and includes all his family and their pets. It was a bit different and good fun to do. 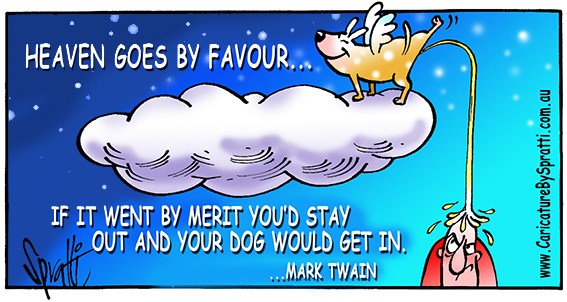 I recently did this Farewell Gift Caricature. It was for a guy heading back to Germany after having worked for a Sydney company for some years. And no he didn’t Jet Ski all the way back to Hamburg. 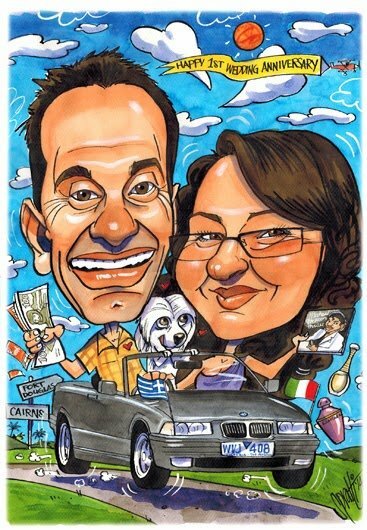 I have created numerous caricatures that are given as Farewells or Retirement gifts. They make a fun alternative to a gold watch! 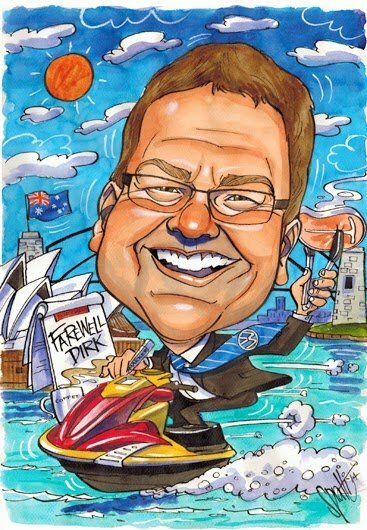 One of my personalised caricatures makes the perfect gift. Traditionally the gift for a 1st Wedding Anniversary is PAPER. This is why Rita chose to get one of my caricatures done. I did it this week based on her brief description of what she had in mind. It was a fun one to do and I even managed to include her little dog Jet. Follow the list below for a piece of original art that’s all about your special person. 1 Go to the “Get a Price” page click the “Order Now” button. 2 Fill out the order form selecting the option you want. 3 You present the superb personalised original artwork to the overjoyed recipient and immediately have praise and love showered upon you! Easy!